A highly-regarded optical design and manufacturing firm planning an expansion into the Medical Device and Biotech industries looked to Vela Technologies to help them better understand this broad market and guide them toward the most promising opportunities. A comprehensive market opportunity assessment allowed the client to identify the top areas in which to focus, and the customer profiles that were developed clarified the needs and pain points of these target customers. 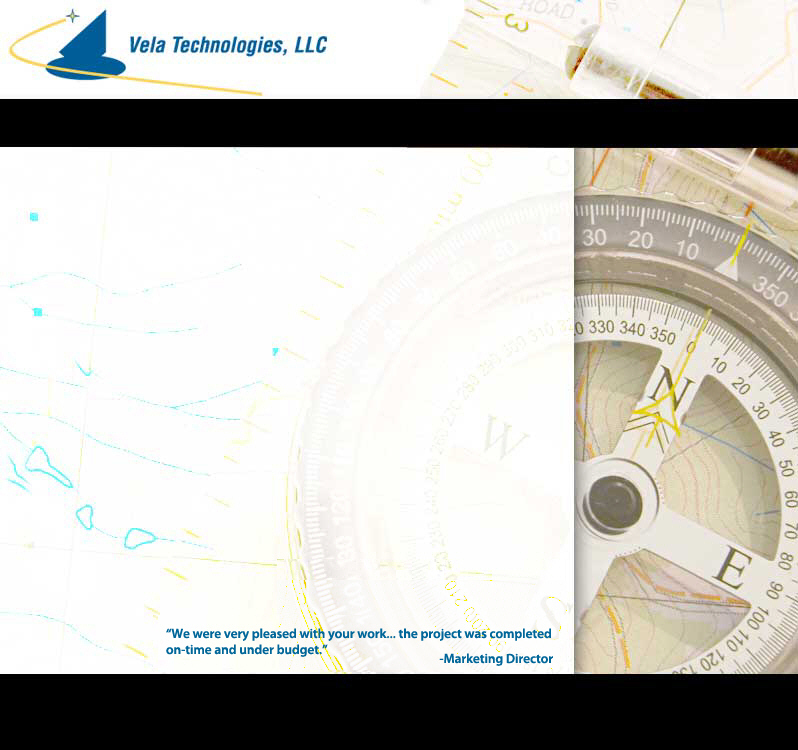 To further support the client's strategic plans, Vela Technologies conducted an in-depth customer survey, providing insight into the company's value proposition and market perception, thereby supporting the creation of more effective messaging and brand awareness campaigns. Vela Technologies investigated a wide range of potential markets and applications for a contract design, engineering and manufacturing services firm that needed a thorough market opportunity assessment for their new Small Fiber Illumination technology. Through a combination of primary and secondary market research initiatives, an extensive array of medical applications and specific target customers was produced, which the company used to guide their strategic business development activities. The company's new technology has since been incorporated into several medical devices. An established worldwide leader in the manufacture of Porous Metal products engaged Vela Technologies to identify potential medical applications for their new sterilizing grade Filtration and Flow Control technology. By leveraging an extensive industry network and interviewing prospective target customers, Vela Technologies provided detailed technical and market information. A strategic marketing plan was also developed to help focus the client's marketing efforts. Together, this information provided a strong foundation for the client to effectively pursue these new opportunities.